development of or reporting an appraisal in a manner that is inconsistent with the requirements of the USPAP in place as of the effective date of the appraisal. Q16. What type of properties are to be analyzed for the data reported in the One-Unit Housing Trends portion of the Neighborhood section of the appraisal report form? The data regarding trends to be reported in the One-Unit Housing Trends section must be reflective of those properties deemed to be competitive to the property being appraised. Additional commentary should be provided on the other segment(s) of the neighborhood. Q17. Are the trends that are reported on the Market Conditions Addendum to the Appraisal Report (Form 1004MC) the same trends that are to be reported in the One-Unit Housing Trends section of the appraisal report (Form 1004)? Yes. The conclusions regarding trends that are obtained from the Form 1004MC must be the same trends reported in the Neighborhood trends section of the Form 1004. The information reported on both forms must be consistent to provide the lender with a clear and accurate understanding of the market trends and conditions present in the subject neighborhood, based on properties that are considered competitive with the subject being appraised. Q18. Are properties that are identified as having an over-improvement eligible for sale to Fannie Mae? Yes. Improvements can represent an over-improvement for the neighborhood, but still be within the neighborhood price range. Lenders must review appraisals on properties with over-improvements that might not be acceptable to a typical purchaser to ensure that the appraiser has adequately commented on the over-improvement and that only their contributory value is reflected in the appraisal analysis. Q21. Will Fannie Mae lend on a property where the utilities were not turned on at the time of the appraisal inspection? Yes. Fannie Mae does not require that the utilities that serve the property be turned on at the time of the inspection. Fannie Mae requires that the utilities meet community standards. Q25. Is there a required number of comparables that the appraiser must provide when appraising a one-unit property with an accessory unit? Yes. If the accessory unit is legal, the appraiser is required to provide at least one comparable property with the same use to demonstrate the improvements are typical for the local market. If the accessory unit is illegal, the appraiser must provide three comparables with the same non-compliant zoning use to demonstrate the improvements are typical for the local market. Q26. If the subject property features an unpermitted addition, can the square footage of the unpermitted addition be included in the total gross living area reported on the appraisal report? If the appraiser has identified an addition(s) that does not have the required permit, the appraiser must comment on the quality and appearance of the work and assess the impact, if any, on the market value of the subject. 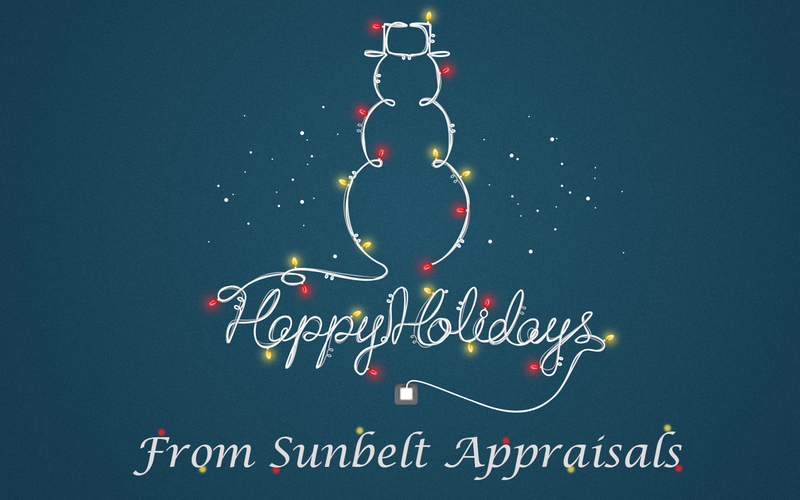 Sunbelt Appraisals is a leading appraisals firm with over 10 years of experience in Maitland and surrounding areas. As area experts we have the knowledge to give a fair objective appraisal of your home in Maitland. Maitland is one of the oldest incorporated suburban municipalities in Central Florida. The city of Maitland has a total of 21 lakes, the largest being Lake Maitland. Buyers, Sellers, Attorneys, Realtors, Accounts, or banks needing appraisal services in Maitland, call Sunbelt Appraisals now! Sunbelt Appraisals is a leading appraisals firm with over 10 years of experience in Orange County and surrounding areas. As area experts we have the knowledge to give a fair objective appraisal of your home in Orange County. Orange County, the fifth most populous county in Florida, this county has 277,909 single residential partials, 52,791 residential condos, and 18,177 town-homes. Buyers, Sellers, Attorneys, Realtors, Accounts, or banks needing an Orange County property appraiser, call Sunbelt Appraisals now! When it comes to buying or selling a home in the Orlando area, one of the most important people involved in the process is the appraiser. The Orlando appraiser offers the experiences, knowledge and skills to properly evaluate the property and provide a good appraisal for its value. The conclusion of the appraiser sets the baseline for the value of the home from which an informed price can be set. However, while appraisers are independent parties who have no vested interest in the home itself, they are still human beings that may make mistakes or errors in judgment which may translate into thousands of dollars being lost because of a faulty appraisal. In order to ensure that your appraisal process is the best possible, you will need the services of the best Orlando appraiser. Here are the five aspects you will need to see in the appraiser you choose in the transaction of buying or selling your home. While even the best appraisers can make mistakes, they are far less likely to occur if you get the right one. Education & Training: The better the education and training, the better the appraiser will be. Look to see if they received their education at recommended places such as the Appraisal Institute (AI) which is arguably the most respected. Otherwise, places such as the American Society of Appraisers (ASA) or Independent Fee Appraisers are good substitutes. Experience: Although the number of years of experience is not too important, it is a good indicator of just how reliable an Orlando appraiser should be. Since their reputation in terms of providing good services is a big part of why they are hired, an appraiser who has 10 years or more of experience with this as their primary form of employment is a good indicator that they must be doing something right. Qualifications: Naturally, the proper appraiser must have all the appropriate licensing and qualifications necessary to hold the position. This is the minimum requirement for any Orlando appraiser and must be verified before viewing their other attributes. Area Knowledge: While good appraisal skills carry over in all areas of the country, an appraiser that has worked in the Orlando area for some time will have advantages. They will know far more about the local real estate market, historic trends and the type of things to look for or pay more attention to when appraising a home. References & Reviews: Virtually every appraiser has references they will have for you to demonstrate the quality of their services. While references are important, keep in mind that like any good business person they will only tell you about the ones who really enjoyed their work. If you can, find reviews of their services from customers and see if there is a pattern either good or bad that indicates the quality of their work. Once you have looked over these five aspects of the Orlando appraiser, you should then check their fees and see which one offers the best services for the lowest price so that you can get the most for your investment. A substantial majority (80%) of industry experts polled this week by Bankrate.com think rates will continue to go up over the short term. Only 20% think they’ve peaked, and none believe they’ll lower. WASHINGTON (AP) – June 12, 2015 – Average long-term U.S. mortgage rates jumped this week to their highest levels this year, with the key 30-year rate topping 4 percent for the first time since late 2014. Rates have been surging amid signs of improvement in the economy, which have pushed bond prices lower and bond yields higher. Mortgage rates often follow the yield on the 10-year Treasury note, which reached a high for the year of 2.49 percent Wednesday. That was up from 2.37 percent a week earlier. The increase in mortgage rates has come during the height of the spring homebuying season. Mortgage giant Freddie Mac said Thursday the average rate on a 30-year fixed-rate mortgage climbed to 4.04 percent this week from 3.87 percent a week earlier. It's the first time the benchmark average rate has exceeded 4 percent since last November, when it was 4.02 percent. The rate on 15-year fixed-rate mortgages increased to 3.25 percent from 3.08 percent. A striking sign of improvement in the economy came last Friday, when the government reported that U.S. employers added 280,000 jobs in May. That was a surprisingly robust tally at a time when consumers are hesitant to spend and some key industries like energy and manufacturing have been struggling. The report from the Labor Department showed that employers seem confident that the economy is regaining its footing after shrinking at the start of the year and that their customers' demand will accelerate. And the new data led many economists to predict that the Federal Reserve will raise interest rates as early as September because the economy might no longer need the stimulus of near-zero rates. The Fed has kept them at that level for more than six years. Despite their recent surge, though, mortgage rates remain low by historic standards. A year ago, the average 30-year rate was 4.20 percent and the 15-year was 3.31 percent. The average fee for a 30-year mortgage was unchanged from last week at 0.6 point. The fee for a 15-year loan rose to 0.6 point from 0.5 point. The average rate on five-year adjustable-rate mortgages increased to 3.01 percent from 2.96 percent; the fee declined to 0.4 point from 0.5 point. The average rate on one-year ARMs fell to 2.53 percent from 2.59 percent; the fee remained at 0.2 point. For information on the loans we provide here through Sunbelt Appraisals, visit our FHA Appraisals page. More than half the experts polled by Bankrate.com this week (53%) predict mortgage rates will go down over the short term, and 47% foresee no change. None expect rates to go higher. WASHINGTON (AP) – June 27, 2014 – Average U.S. rates on fixed mortgages declined this week, hovering near historically low levels. Mortgage buyer Freddie Mac said Thursday that the average rate for a 30-year loan eased to 4.14 percent from 4.17 percent last week. The average for the 15-year mortgage fell to 3.22 percent from 3.30 percent. Rising prices and higher interest rates beginning in mid-2013 have made homes less affordable for would-be buyers. At the same time, a limited supply of homes is available to buy. Sales of new homes are running about half the rate of a healthy housing market. Home prices rose in April from a year ago at the slowest pace in 13 months, reflecting the recent drop-off in sales, according to the latest Standard & Poor's/Case-Shiller 20-city home price index released Tuesday. Mortgage rates are about a quarter of a percentage point higher than they were at the same time last year. The increase in rates over the past year or so was driven in part by speculation that the Federal Reserve would reduce its bond purchases, which have helped keep long-term interest rates low. Indeed, the Fed has announced five declines in its monthly bond purchases since December because the economy appears to be steadily healing. But the Fed has no plans to raise its benchmark short-term rate from record lows. After the central bank ended a two-day policy meeting last week, Fed Chair Janet Yellen sent the message that the economy still isn't healthy enough to grow at a consistently strong pace without the Fed's help. Yellen said that despite a steadily improving job market and signs of creeping inflation, the Fed sees no need to raise short-term interest rates from record lows anytime soon. The average fee for a 30-year mortgage fell to 0.5 point from 0.6 point a week earlier. The fee for a 15-year loan was unchanged at 0.5 point. The average rate on a one-year adjustable-rate loan slipped to 2.40 percent from 2.41 percent. The average fee remained at 0.4 point. The average rate on a five-year adjustable mortgage fell to 2.98 percent from 3.00 percent. The fee declined to 0.3 point from 0.4 point. Windermere is one of the beautiful towns of Orange County, in Florida, dating back to 1889. While a small town in by itself, it has grown in bits and bounds to accommodate latest technological advancements, without compromising on the small town feel that it has enjoyed over the years. This explains the reason why to date you will still find street name signs on white concrete posts and dirt roads leading to local neighborhoods. The town is known to be home to many celebrities and sports personalities, top among them Tiger Woods, who live in the gated community, Isleworth, in the outskirts of Windermere. Whether it is the small town feel, the fact that celebrities and sports personalities have some local affiliations with the town, or the mere fact that Windermere is sandwiched between several lakes in the Lake Butler Chain, no doubt this is a place whose real estate market is growing at a very rapid rate. A quick look at a Windermere Appraisal report will show you just how fast the region’s real estate market is growing, justifying the huge demand for real estate property for commercial and residential property. When looking to have an appraisal done on a property you wish to purchase in Windermere, or sell your existing one, no doubt a qualified and competent property appraiser should do the trick for you. The best Windermere Appraisal report will be compiled by someone who has the qualifications and experience working in the neighborhood. This should be someone who understands the local lender requirements when it comes to appraisal reports. This is the only guarantee you will have of getting an accurate report, thus increasing your chances of getting approved for a loan. The contents of your Windermere Appraisal report will include the estimated market value of the property, the purpose of the appraisal, the date and time of report compilation, and of course the signature of the professional who conducts the evaluation. The report must also include the address of the property, photographs and/or maps can also accompany the report to give it more weight. It is important to mention that each State in US has different appraisal requirements, no wonder licensing of property appraisers also varies from state to state. It therefore, goes without saying that if you are buying a property from Windermere; your Windermere Appraisal report should come from a state certified property appraiser. In each Economic Update, the Research staff analyzes recently released economic indicators and addresses what these indicators mean for REALTORS® and their clients. Today’s update discusses the latest housing starts data. The latest figure is a decline from the prior month, which was the best in over 5 years. But activity is still higher from a year ago. Both single-family and multifamily housing starts softened in December. Perhaps the deep freeze in a good portion of the country could have impacted builders, postponing the digging of the earth. Housing permits, which are just paper approval and which should not have been impacted by the weather, also weakened a bit. The inventory of newly constructed homes is essentially at a 50-year low. Much more construction is needed. Publicly-listed companies like KB Homes and Toll Brothers can tap Wall Street funds to get busy. However, small local builders have historically been the principal supplier of new homes in America. These local homebuilders rely on construction loans, which are very hard to get. Many local lenders have indicated the burdensome regulation arising from Dodd-Frank financial market regulations have hindered their ability to lend. Hence, large companies are getting bigger at the expense of smaller guys getting shut out. A case of unintended consequence of a government policy? The insufficient new housing starts will mean a likely continuation of a housing shortage in 2014. Therefore, home prices and rents will rise in nearly all local markets in 2014. Mistake 1 – Failure on the part of the appraiser to recognize that he or she is a professional; therefore, having sole responsibility for knowing and understanding the requirements for developing and reporting a credible opinion of value. This means developing a credible and accurate Scope of Work, including knowing how long a report will take to complete competently and what fee is required to take the proper time to do the job right. Mistake 2 – Failure to perform assignments ethically and competently. Being ethical and competent require two different but necessary skill sets. An ethics violation is intentional. A violation of competency is usually not understanding or not knowing. Negligence and gross negligence typically happen due to a failure to thoroughly review the work. Review your work completely. Avoid boilerplate. That’s how mistakes happen. Mistake 3 – Failure to complete meaningful education that will enhance knowledge and understanding of the appraisal process. The best method for ensuring professional success is to continually diversify your practice. The best way to do this is to broaden your experience by learning and growing on a continuing basis. This opens new doors of opportunity which allows more opportunity to pick and choose assignments. Choice is good. Try to set aside time each month for professional development that exceeds your mandated continuing education hours. This includes gaining insights into professional appraisal practices as well as business strategies and the latest technology issues. Mistake 4 – Failure to associate with peers on a regular basis. Too many appraisers fail to grow and develop because they work in isolation. Consider affiliating with a professional organization. Attend meetings of the appraiser regulatory agency in your state. Sign up to receive information from the Appraisal Foundation- these folks control your profession. Remain up-to-date on the work of the Appraisal Standards Board, Appraiser Qualifications Board and the new Appraisal Practices Board. Make comments on proposed changes to the Uniform Standards of Professional Practice when that is permitted. Comments are read and considered. Visit the Appraisal Subcommittee website regularly to review the latest information (ASC.gov). Mistake 5 – Failure to identify an appropriate scope of work for each appraisal assignment. How do you combat this? Identify relevant assignment characteristics; identify extraordinary assumptions and hypothetical conditions; disclose research and analyses performed and not performed; disclose significant real property appraisal assistance. Another problem is failure to include a signed certification that includes the required information. Here are several examples of verbiage that can keep you out of trouble: I have performed no (or the specified) services, as an appraiser or in any other capacity, regarding the property that is the subject of this report within the three-year period immediately preceding acceptance of this assignment. And another is: No one provided significant real property appraisal assistance to the person signing this certification. (If there are exceptions, the name of each individual providing significant real property appraisal assistance must be stated.) Assistance must be noted in the certification by name, and include a list within the body of the report of each step completed, if the person does not sign the report. Mistake 6 – Failure to identify and understand applicable client conditions for each assignment. This problem is solved by knowing, understanding and following the various professional guidelines, such as: the Interagency Appraisal and Evaluation Guidelines; Fannie Mae Selling Guidelines and FHA Requirements. And in allocating value contributions: Real Property STD 1 & 2, Personal Property (FF&E) STD 7 & 8 and Business STD 9 & 10. Story excerpted from a presentation at the Appraisal Summit 2012. Larry Disney began appraising in 1977. He has been an investigator with the Kentucky Appraisal Board since 1999 and the Executive Director since 2003. Mr. Disney can be reached at larry.disney@ky.gov. When Hurricane Sandy made landfall just over a year ago, no one could have predicted the immense damage it would cause. In the United States alone, 24 states were impacted, New York and New Jersey most severely. That's why both those states are now offering to buy damaged homes from willing sellers at pre-storm values—in order to replace those homes with open land that can serve as buffers for future storms. To determine those pre-storm values, the state is relying on appraisers. These retrospective appraisals are complex and require great care, but they are extremely important for victims of natural disasters who are looking for a new place to call home. In addition to natural disasters, retrospective appraisals are also used in property tax matters, estate or inheritance tax matters, condemnation proceedings, or suits to recover damages. To assist with these assignments, the Uniform Standards of Professional Appraisal Practice (USPAP) includes Statement on Appraisal Standards No. 3 (SMT-3) for retrospective appraisals, which can serve as a helpful guide. Establish a proper "effective date" right off the bat. The first responsibility of an appraiser working on a retrospective appraisal is to communicate with his or her client to establish a proper "effective date." An effective date is the retrospective date on which the appraiser's analyses, opinions, and conclusions are based. This date depends on the purpose and nature of the assignment, so it is critical that an appraiser consult with the client and understand the exact point in time for which the opinion of value applies. In addition to the effective date, an appraiser's report must also include the date on which the report was completed (known as the date of report). Draw upon market data based on that effective date. To provide an accurate opinion of value, an appraiser must acquire a thorough understanding of the market at the time of the effective date. The job of the appraiser is to gauge what the property he or she is evaluating would have sold for on the effective date. To do so, an appraiser should utilize market data that was available at the time of the retrospective effective date. In addition, appraisal reports and workfiles from appraisals performed around the time of the effective date may provide valuable information regarding the subject market and comparable properties. Consider more recent market data only if that data reflects a relevant trend. Retrospective appraisals are particularly difficult because the appraiser is aware of market data after the effective date. According to USPAP, appraisers are allowed to consider subsequent data if that data reflects a trend which would have been taken into account at the time of the effective date. For example, if an appraiser's analysis of values in the subject property's market area indicated that values were generally increasing, the appraiser could include data subsequent to the effective date of the appraisal to document that particular trend. However, the appraiser is responsible for determining a cutoff date in which he or she will no longer consider subsequent data because information after that point would no longer reflect the market as of the effective date. While it may seem obvious, it is also crucial that an appraiser use appropriate language and terminology when communicating a retrospective appraisal. The use of the past tense to discuss the conditions of the market at the effective date prevents confusion. A recent lawsuit (find link below) filed against Stearns Lending and its AMC, Trimavin, by the AMC’s former Chief Appraiser, Katherine A. Scheri, alleges that many of the practices that led to the extensive regulation of the appraisal industry are alive and well at one AMC/lender at least. In late 2011, Katherine Scheri was hired as the Chief Appraiser of Trimavin, an in-house AMC owned by Stearns Lending, a privately held lender who funded over $25 billion in loans over the last three years. Scheri has over 10 years of experience as a field appraiser, review appraiser, and appraisal manager. Prior to being appointed Chief Appraiser at Trimavin, Scheri worked as an appraiser manager overseeing a staff of nine certified appraisers and two trainees. Among her responsibilities as Chief Appraiser, Scheri was charged with managing Trimavin’s active appraiser panel and overseeing the Appraisal Review Department. Upon assuming her position, Scheri implemented an internal process for appraisal reviews, and, the suit alleges, put an end to Trimavin’s practice of having reviews performed by appraisers who were not licensed in the state of the appraisal. Scheri also implemented a policy that only FHA certified appraisers could review FHA/USDA appraisals. Acording to the suit, Scheri quickly learned that Stearns Lending had implemented a marketing program aimed at recruiting mortgage brokers and loan officers that promised them that their own personal lists of preferred appraisers would be added to Trimavin’s appraiser panel and would be used on the loans that they submitted. The result, according to the suit, was that private appraiser panels were created for each mortgage broker or loan officer at a given branch. According to the suit, Scheri began pushing back against this practice and immediately began receiving emails and phone calls from loan officers, branch managers, and mortgage brokers complaining that their preferred appraisers were not being used on their loans and insisting that Stearns Lending had promised them that they could use their own appraisers. The suit alleges that Scheri notified the CEO of Trimavin, Eric Dellorusso, that it is in direct violation of the appraisal independence regulations of Dodd-Frank as well as Regulation Z of the Truth in Lending Act, for individuals in the loan production department to directly or indirectly select (or exclude) an appraiser for a particular appraisal. Not long after, a meeting was held with upper management from Stearns Lending and Trimavin to discuss Scheri’s concerns. According to the suit, upper management of both Trimavin and Stearns insisted that there is nothing wrong with loan officers providing lists of their preferred appraisers because those names are “blended” with the list of approved appraisers. Scheri responded that such selection is in violation of appraiser independence regulations and Regulation Z of TILA. Additionally, Scheri soon learned that the ranking of appraisers was done in such a way that the “preferred” appraisers were always utilized first, according to the suit. Despite her admonitions, the practice of using loan officer’s preferred appraisers continued. According to Richard Hagar, SRA, an experienced litigation consultant and expert on appraiser independence regulations, if Scheri’s allegations are true, then Stearns Lending violated numerous federal regulations governing the appraisal process, including Regulation Z of the Truth in Lending Act. “The law is very clear on this point. There is no excuse for there being ANY kind of referrals or recommendations of appraisers from loan officers. Loan officers are sales people, they work in a completely separate function and they wouldn’t know a quality appraisal if it was staring them in the face. To most loan officers, good appraisers are the ones who meet value,” says Hagar. In May 2012, Brian Hale, former CEO of MetLife Bank, was hired as CEO of Stearns Lending. Before serving as the CEO of MetLife Bank, which was forced to exit the residential mortgage market during his tenure, Hale was the Chief Operations Officer at Countrywide Home Loans, which was later revealed as having one of the most toxic mortgage portfolios in the nation. Shortly after Hale was hired at Stearns, Scheri alleges that she observed a printed list of the names, addresses, and telephone numbers of appraisers in Dellorusso’s office. When she asked what the list was, Scheri alleges that Dellorusso told her that he had been given a list of appraisers by Hale and that those were the appraisers that Trimavin would be using going forward. During this time, Trimavin had just finished purchasing a new Collateral Management System (CMS) from FNC as well as a select list of 8,500 appraisers rated with exceptional quality scores and vetted based on their qualifications, the suit alleges. Instead of utilizing the list that Trimavin had, Scheri’s suit alleges that Dellorusso hired temporary workers to key in the printed appraiser list that Hale provided. Additionally, once the system was rolled out, Scheri observed that the list of 8,500 “qualified” appraisers was never imported into the CMS system and that the rating system within the CMS only utilized those appraisers who were on the list Hale provided. Throughout her time as Chief Appraiser, Scheri alleges, she continued to receive threatening phone calls and emails from loan production personnel demanding that appraisers be added or removed from the approved appraiser panel. In some cases, they would request that a second appraisal be performed by “their” appraiser when they did not like the value opinion of the original appraiser. Scheri continued to respond that such actions were in violation of federal regulations and that she would not comply with such requests. In December 2012, Scheri alleges that she was told by Dellorusso that he felt the stress of her job was affecting her and that she should consider transferring to a different position within the company. Furthermore, Dellorusso told her that he believed a man could handle the stress of the job as Chief Appraiser better than she could, according to the suit. Scheri responded that she wasn’t interested in moving to a different position as she had been hired to make sure Trimavin’s appraisal process was in accordance with applicable laws. The next day, the suit alleges, Scheri was told that she was being insubordinate and that Dellorusso was going to make the decisions regarding the appraiser process and which appraisers would be placed on the panel. Once again, Scheri alleges, she made it clear that the actions Dellorusso was taking were illegal and that she was not willing to risk her license and would not go along with it. Within a few weeks, Scheri came across her job posted online. After confronting Dellorusso and taking the issue to the human resources and legal departments, she was terminated by Trimavin in January 2013 because, the suit alleges, management indicated it had “lost confidence in her ability to manage.” Scheri declined the severance package which included a confidentiality clause, and chose instead to sue Trimavin and Stearns Lending for unlawful retaliation and wrongful termination in violation of public policy. Scheri’s allegations echo what many appraisers have been saying all along; that lenders continue to manipulate the appraisal process by using carefully filtered lists of appraisers who don’t cause “trouble” and by “blacklisting” (or not using) appraisers who resist compliance. Earlier this year, in an interview with Working RE, Kyle Lagow, the appraiser whistleblower at Countrywide Financial, said that even though his case helped lead to a $1 billion settlement between the Department of Justice and Bank of America, he doesn’t see that much has changed in the appraisal industry. “The same people who were in charge when this fraud took place are still here. My supervisor at Landsafe, the area manager, is still there. The appraiser who was completing 400 appraisals a month in Texas still has his license. So you tell me, what’s changed?” said Lagow. Appraiser Thomas J. Inserra, MBA, MAI, SRA, who served as the National Chief Appraiser for the FDIC/RTC during the 1990s, reports that from what he’s seen across the industry of late there are still many lenders who are breaking the law and conducting business the way they did during the real estate boom. “There are still many hold-outs who continue to believe they can simply waive or ignore rules, laws or procedures that they just don't like. In fact, some would argue that there is a new wave of ‘dumb’ lenders going back to the old practices,” says Inserra. Conducting business like in the “good old days” means sidestepping the appraisal process with appraisers continuing to face challenges to their independence. “I have had recent conversations with CEOs and top executives of very large financial institutions who say they believe that to be competitive today and into the future, they must focus on comprehensive risk management. And they shake their heads in disbelief over what some lenders are doing today- a total repeat of the conduct that led to the crisis- manipulation and control of the appraiser process to the point of breaching independence and attaining advocacy,” says Inserra. The “firewall” imposed between appraisers and lenders by the Home Valuation Code of Conduct (HVCC) ended direct business relationships between appraisers and their mortgage broker/lender clients. It resulted in a land-office business for a new crop of appraisal management companies (AMCs) and the demise of many small appraisal businesses. With this monumental shift came a significant pay cut for most residential real estate appraisers and a diminution in their ability to compete on quality and service and personal relationships. With so many appraisers forced out of business in recent years, things have improved for those who remain. Fees are rising due to supply and demand. And the tables have turned a bit with appraisers better able to pick and choose which AMCs they will do business with rather than the other way around. Appraisers are negotiating higher fees and more reasonable turn times. With so much work, they can choose to work with the very best clients. But even in these “better days,” many insist that the pressure to influence value still exists in many forms. Scheri’s case, if true, brings the issue of appraiser regulations and independence full circle. Veteran appraisers will remember that HVCC was born out of an investigation into WaMu and eAppraiseIT, by then New York Attorney General Andrew M. Cuomo’s, that eventually wound its way up to the honchos at Fannie Mae/Freddie Mac, who quicker than you can say “golden parachute,” settled with Cuomo by agreeing to HVCC. As HVCC ended the investigation into Fannie and Freddie, it marked the beginning of the end for many appraisers. This is from a WRE story at the time: “WaMu became unhappy with eAppraiseIT appraisers when they supplied appraisal values that were too low for WaMu to close loans. WaMu's loan production staff was then allegedly allowed to personally select appraisers who they believed would provide the values WaMu wanted.” Sound familiar? The allegations in Scheri’s suit echo what many appraisers have been saying all along, that the behavior that prompted intense scrutiny and regulation is alive and well. What happens if you wait to refi in 2014? When it comes to mortgage interest rates, here's what we know: Although interest rates have risen in the past few weeks, they are still pretty low compared with just a few years ago. In fact, on June 27, 2013, the average interest rate on a 30-year, fixed-rate mortgage was 4.46 percent, according to Freddie Mac. If we take a look at what interest rates were five years ago in June 2008, however, they were at a whopping 6.32 percent, according to Freddie Mac. But although rates now are relatively low compared to what they were five years ago, they're still on the rise - and there's no telling how high they'll go. The debt-to-income ratio is the amount of your total monthly debt as a percentage of your total gross monthly income. Your debt includes things like credit card bills, car loan payments, and the payment on the mortgage you want to get. This number generally can't be higher than 40 percent, says Jim Duffy, a mortgage banker with Cole Taylor Mortgage in Atlanta, Georgia. But, the higher your mortgage interest rate, the higher your monthly payment - and the more difficult it might be to qualify for the lowest rates that are available, says Gross. "So, if the interest rate [on your mortgage] goes up, that means the payment goes up and if the payment goes up that could potentially take you out of the qualification range," says Gross. To see how this works, let's see what happens to the debt-to-income ratio for a couple making a gross monthly income of $5,000 who wants to refinance a 30-year, $300,000 fixed-rate mortgage at today's 4.46 percent rate, and then at a rate of 6.32 percent. For the sake of the example, we'll assume the couple's monthly expenses, other than the mortgage payment, come out to $500. Remember, this includes only things like credit card payments, car loans, etc., not food, utilities, and the like. For this couple, the $1,512 mortgage payment on a $300,000 mortgage at 4.46 percent puts their debt-to-income ratio right at 40 percent. So they could still qualify. But at an interest rate of 6.32 percent, their payment would jump to $1,860.83. This would raise their monthly debt to $2,360.83, and their debt-to-income ratio to 47 percent. They are now a higher risk than most lenders would accept, according to Duffy's information. Basically, there are two ways to get the lowest interest rates available. The first is to be a stellar applicant in all ways - sterling credit, very low debt-to-income ratio (see above for definition), a fat savings account for rainy days, etc. The second way is to "buy" your rate down through paying "points." Points are a one-time charge paid to the lender to reduce the interest rate you pay over the life of your loan, according to "A Consumer Guide to Mortgage Settlement Costs" by the Federal Reserve Board (FRB). So, back to the question of whether a rising interest rate could increase costs. The answer is yes, and here's why: If a borrower wants to take out a $300,000 mortgage today, he can get a 4.46 percent interest rate on a 30-year fixed-rate mortgage with no discount points. If the rates go up to 6.32 percent and that borrower wants a lower interest rate, they would now have to pay a discount point to drop it down to maybe 5 percent or two points to get it to 4 percent. In terms of how much it will cost you, the FRB notes that each percentage point you want to shave off of your interest rate will cost one percent of the loan amount. When it comes to financing homes, small increases in interest can result in big changes to the total amount of interest paid over the life of a 30-year, fixed-rate mortgage. Why? "Because, the price of the home plus the price of financing the home - the interest rate - is its true cost," says Duffy. He adds that it's only natural that most people pay more attention to the monthly payment, because that's how we all budget our incomes. But he advises people to look at the lifetime interest cost too. And when they do, one thing sticks out: seemingly small changes in the interest rate can have major affects on the lifetime cost of your home. To see what that means from the perspective of an interest rate of 6.32 percent, let's compare today's 4.46 percent interest rate to the 6.32 percent rate from 2008 with three different 30-year, fixed-rate mortgage amounts. The numbers speak for themselves; if you waited to refinance and mortgage rates went back up to 6.32 percent, you'll face paying thousands more over the life of your loan than if you refinanced now at 4.46 percent. Depending on where you live, you could buy another home for that amount! Bank of America Corp. opened a unit in India to review home-valuation reports as it seeks to rebuild share in U.S. mortgages at a lower cost, said four people with knowledge of the move. Workers in the new Bangalore office follow checklists to determine if appraisals are complete, said the people, who requested anonymity because they weren’t authorized to comment. The firm also eliminated jobs of licensed U.S. workers in its LandSafe business, the appraisal division of the Charlotte, North Carolina-based company, which made $78.7 billion in loans last year, the people said. Lenders around the world have vowed to boost revenue and curb spending to make up for sluggish loan growth and new regulations. Bank of America, which spent more than $45 billion to settle disputes tied to defective mortgages and foreclosures, is among the most aggressive cost-cutters with Chief Executive Officer Brian T. Moynihan planning to save $8 billion a year. The firm slipped from being the biggest U.S. mortgage lender in 2008 to fourth last year. Other firms have added staff in lower-cost cities. Goldman Sachs Group Inc., the New York-based investment bank, saw headcount in places including Bangalore and Salt Lake City almost double since 2007 to 22 percent of employees, CEO Lloyd Blankfein said in November. Barclays Plc (BARC) said today it planned to move 4,000 more jobs overseas and to lower cost locations by 2015 to save as much as 250 million pounds ($381 million). LandSafe has more than 2,000 associates in the U.S., according to the Plano, Texas-based firm’s website. In addition to appraisals tied to new home loans, it also conducts valuations on Bank of America’s portfolio of delinquent loans, of which the company had 667,000 on March 31. In February, the lender cut about 5 percent of LandSafe employees, saying they weren’t needed as overdue loans fell. Licensed reviewers, who check the accuracy of appraisal valuations and can earn more than $100,000 a year, were among those who lost their jobs, the people said. Bank of America’s program prevents paperwork errors from delaying loan applications, said Terry Francisco, a spokesman for the second-biggest lender by assets. The overseas completeness checks, begun in August, don’t replace in-depth reviews done by licensed U.S. staff, he said. The U.S.-based reviewers, who typically had at least five years of experience as appraisers, are required to confirm accuracy by doing independent assessments that conform to industry standards, the people said. The checklists in India cover 17 items such as whether the appraiser remembered to sign the report and include photographs of rooms, according to a copy obtained by Bloomberg. Relying more on checklists may increase the odds of defective reports going undetected, said Karen Mann, a Discovery Bay, California-based appraiser who testified for the Financial Crisis Inquiry Commission’s 2011 report. The FCIC examined the causes of the housing bubble and subsequent 2008 credit crunch. LandSafe workers complained last year about the decline in review work and its impact on their pay and job security, said a person with direct knowledge of the internal discussions. In response, LandSafe executive Tracy Sanderson said management couldn’t increase the number of reviews because of the expense, the person said. Sanderson didn’t return calls seeking comment. Bank of America was forced to pay the most of any U.S. lender to put the housing mess behind it after Moynihan’s processor Kenneth D. Lewis bought Countrywide Financial Corp. in 2008. The firm has finished paying the “lion’s share” of costs tied to faulty mortgages, Moynihan said in March. Under Moynihan, 53, the firm pulled back as it struggled to fend off regulators and lawsuits. The company made $78.7 billion in home loans last year, or about 4 percent of the market, compared with $315 billion in 2008, when it had more than 20 percent, according to newsletter Inside Mortgage Finance. “We’ve been building that back up, and expect to be in the 5 percent area as we exit the second quarter,” Chief Financial Officer Bruce Thompson told analysts on June 11, adding that he expected market share would continue to rise. San Francisco-based Wells Fargo & Co. (WFC) is ranked first, creating almost 1 in 3 U.S. mortgages last year. Lenders are under pressure to reduce costs because demand for refinancings, the biggest source of volume for the firms, is falling amid surging mortgage rates. The average rate for a 30-year fixed loan rose to 4.46 percent from 3.93 percent, the biggest one-week increase since 1987, McLean, Virginia-based Freddie Mac said yesterday in a statement. Bank of America, which doesn’t disclose how many workers are outside the U.S., had 262,812 employees as of March 30, or 5.7 percent fewer than a year earlier. Its shares fell 1.2 percent at 4:15 p.m. in New York to $12.86 paring the gain in the past 12 months to 66 percent. The bank has plunged from a closing high of $54.90 in 2006. Homebuilders struggle to find workers! Beginning June 22nd, electronic appraisal files submitted to the UCDP will be rejected unless they include the UAD fields for appraisal effective date, subject contract price and comparable sale price, above grade gross living area (for subject property and comparable sales) and sale type [Sales or Financing line] (for subject property and comparable sales). To date, UCDP has returned warnings when this data is not present in an effort to allow lenders to acclimate to the technology and operational processes. Avoid these errors by using your report software built-in UAD compliance checker prior to signing the report. Chelsea Clinton and Husband Marc Mezvinsky List NY Flatiron Condo! Chelsea Clinton and Marc Mezvinsky are moving on up, going from a nearly $5 million pad to $10 million-plus place. They bought their new place in The Whitman, a secure building on East 26th Street, for $10.5 million in early March, which led them to list their former home at the nearby Grand Madison for $4.475 million. The couple didn’t move far; both buildings are located in the Flatiron District and have views of Madison Square Park. Mezvinsky bought the Grand Madison condo in 2008 for $4 million, reported the Real Deal. The couple had been living there since their marriage in 2010 until very recently. The 3-bedroom, 2.5-bath has a “well laid out floor plan that is perfectly suited to entertaining and gracious living.” A large entry leads to the living area, with 10-foot ceilings and a wall of windows. An updated kitchen has new appliances, and the master suite includes double sinks, separate steam shower and a soaking tub. Looking for an appraiser in the Winter Park area? Some people move cross-country for jobs. Others move cross-country for love. Actress Olivia Wilde recently picked up a new place in New York, listing her home in Los Angeles for sale. Wilde’s Los Feliz place, pictured in the gallery, was formerly listed as a rental for $9,500 a month, but apparently the relationship is serious enough that she’s ready to dump her West Coast digs. She bought the home in March 2011 for $2.295 million, according to property listings. The home is listed for $2.495 million. Located at 2510 Chislehurst Pl, Los Angeles, CA 90027, Wilde’s home is a classic 1929 Spanish-style villa with original architectural details such as Malibu tile, wood floors, stained glass and iron work. Measuring 3.284 square feet, the home has 4 beds, 3 baths, a library and media/screening room. The private property also includes video surveillance. Wilde’s new place in New York is a tad smaller. The 2-bed, 2.5-bath apartment is just 1,950 square feet. Good thing Wilde is a native New Yorker and likely used to the high prices for smaller spaces in the Big Apple. According to property records, Wilde closed on the Manhattan apartment for $3.225 million. The loft has enormous windows, hardwood floors and open spaces perfect for entertaining. Leesburg resident Russ Sloan knew something was wrong when an appraiser valued his home at $113,500. Sure, the housing market had crashed since he and his wife paid almost twice that amount for their three-bedroom home five years earlier. But Sloan suspected the appraisal had compared his house to some distressed properties. "Three of the six comps were short sales or foreclosures, and two of them were houses on the market without sales prices," said Sloan, who filed a complaint with the state. "There was no adjustment for the distressed ones he used." Complaints about appraisers in Florida have edged up this year for several reasons: More people are getting appraisals so they can refinance their mortgages; prices have increased so much this year that sales comparisons are quickly outdated; few properties are listed for sale, making comparisons difficult; and distressed sales still dominate the market, dragging down the value of "regular" homes with paid-up mortgages or no mortgage at all. "We are transitioning so fast that most people can't keep up with it," said Joyce Potts, president of Southern Appraisal Group Inc. in Altamonte Springs. "In a transition market, either up or down, you have to acknowledge the lack of inventory and adjust accordingly." Resale prices in the core Orlando housing market have increased 16 percent just since the beginning of the year, hitting a midpoint price of $125,750 in July, according to the Orlando Regional Realtor Association. In addition to contending with such fast-moving prices, appraisers in the core market must assess current market conditions with only a 3.4-month supply of homes listed for sale — about half the inventory considered healthy for a balanced market. And if appraisers are deciding the value of a regular house, the odds are good that they will have to compare it to some foreclosures and short sales because, even now, slightly more than half the homes for sale in the Orlando area are such distressed properties. Potts said appraisers are forced to weigh whether they should include foreclosures when determining the value of a regular home. In cases where a clear majority of the sales in a given neighborhood are discounted, distressed transactions, she said, they will tend to define the value of all homes in that particular area. The home-appraisal business changed significantly in 2009, after the nationwide housing bubble burst, when Freddie Mac agreed to follow new rules outlined in the Home Valuation Code of Conduct. The code was part of a legal settlement between the giant federal mortgage backer and the New York State Attorney General's Office, which investigated charges that lenders had pressured appraisers to set home values high enough that sales would close without complications. Under the new rules, appraisers are supposed to keep their distance from lenders; often they do this by working through appraisal-management companies that have come to control the industry since the reforms took effect. Under new rules or old, appraising real estate is a challenging task, said Orlando Re/Max agent David Welch. He said he meets with appraisers at homes under contract and explains how why the sales price makes sense based on everything from school districts to transportation. Welch said he also details why certain other sales should not be considered comparable to the one being discussed. "It's a daily event that you hear about folks having issues with appraisals," Welch said. "Appraising is a very difficult job. You're always looking behind you, and the market is different today than a few months ago." In Sloan's case, the Leesburg resident was so unhappy with the appraisal done on his house in October that he complained to the state Department of Business and Professional Regulation. He's not alone: Through the first seven months of this year, 373 Florida property owners have complained to the department about appraisals; during the same period last year, 327 complaints were filed. The state did not side with Sloan. He said he was disappointed because the appraiser had used erroneous information about one of the comparable properties. Yet his complaint was validated in another manner: Two months ago, another appraiser pegged his home's value at $144,500 — more than $30,000 higher than the judgment of the October appraisal. Five states accounted for 47.7 percent of the nation’s foreclosure activity for the 12-month period ending in September, according to CoreLogic data, HousingWire reported Oct. 31. California, Florida, Georgia, Michigan and Texas had the highest volumes of completed foreclosures during the period. California (108,000 foreclosures) and Florida (92,000 foreclosures) led the states in foreclosure activity. Texas, Georgia and Michigan each completed more than 50,000 foreclosures during the period. When foreclosure rates were tallied on the basis of the percentage of mortgaged homes, states with the highest rates were Florida, Illinois, Nevada, New Jersey and New York. Those with the lowest rates (1.1 percent or lower) were Alaska, Nebraska, North Dakota, South Dakota and Wyoming, according to CoreLogic, HousingWire reported. States with the lowest levels of foreclosure activity (reporting less than 700 filings during the 12-month period) included the District of Columbia, Hawaii, Maine, North Dakota and South Dakota; South Dakota reported only 20 completed foreclosures throughout the 12-month period, according to CoreLogic data, HousingWire reported. 8:48PM EST October 2. 2012 - U.S. home prices are coming off the bottom faster than many expected. Market researcher CoreLogic says prices were up 4.6% in August from a year ago, the largest year-over-year gain in six years. The report parallels others showing recent strengthening in home prices, which are still down about 30% from their 2006 peak. Much of the recent increase is traceable to tightening supplies of homes for sale. In August, existing single-family home sales were up 9% year over year, but the supply of listed homes for sale was down 18%, according to the National Association of Realtors. "Inventories drive prices," says Christopher Thornberg, an economist with Beacon Economics. As home prices rise, more people will eventually list homes for sale. And as they do, price gains may slow, says Zillow economist Stan Humphries. August was the sixth consecutive month that home prices were up on a month over month basis, CoreLogic says. That is a reversal from last fall, when prices were still falling. CoreLogic expects September home prices were up 5% year-over-year, too. But, it says they likely slipped 0.3% in September from August as the summer season ended. Still, the housing market lately has shown a forward momentum that was not evident last year or even last spring. Last year, some housing experts thought home prices would keep falling through 2012. There were fears that lenders would flood the market with foreclosed homes, which would drive down prices as a result of the mortgage settlement between large lenders and federal and state officials. Neither scenario has played out. What's more, low mortgage interest rates -- which last week reached an all-time low average of 3.4% for a 30-year fixed-rate loan -- and improved consumer confidence are helping demand. "As people perceive that prices have bottomed, they're coming back into the market," says Mark Goldman, real estate expert at San Diego State University. Rising prices are helping homeowners build equity. In the first half of this year, 1.3 million homeowners moved from being underwater -- owing more on their mortgages than their homes were worth -- into positive equity status, CoreLogic says. More will cross that bar if prices continue to go up. That enables more people to sell or refinance into lower cost loans. Zillow predicts that home prices will see "modest" appreciation for two to four years, given still high unemployment and the huge number of people who're still underwater. Despite recent gains, more than one in five homeowners with a mortgage still owe more on their loans than their houses are worth, CoreLogic data shows. Zillow's data shows that more than 30% of homeowners are still underwater. Warning: What you are about to read could be career-ending. Will this comp photo be accetable? Why get out of the car to take the picture of the house I'm selling? Housing construction up 2.8 percent in January! Flawed Appraisals Killing Home Sales, Hampering Housing Recovery! How to Help Boost Your Appraisal!! You'll Probably Be Surprised By How Square Footage Is Actually Measured! Preparation is key for a proper appraisal! Storm Dumped Load of Work on Real Estate Appraiser! Builders Advised Not to Hold Back From Giving Relevant Information to Appraisers! Zillows not always right - The Fuzzy Math of Home Values! 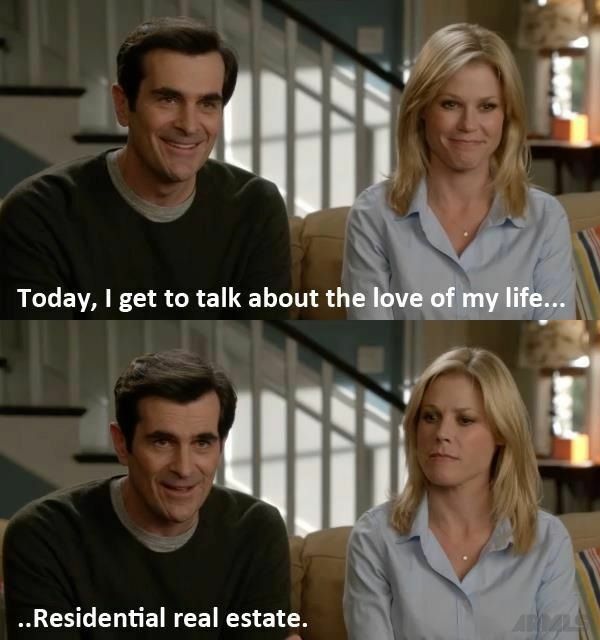 Appraisers are so powerful. We control the market!!! ORRA Housing Report - August 2011! Uniform Appraisal Dataset is coming soon!! Check Out the Skinniest House in the World! Appraisal Institute Warns Appraisers About Liabilities When Working with Some AMCs! Glut of foreclosures keeps mounting as foreclosure sales decrease! Now on YouTube - Florida Realtors®! How many appraisers are there, by state? 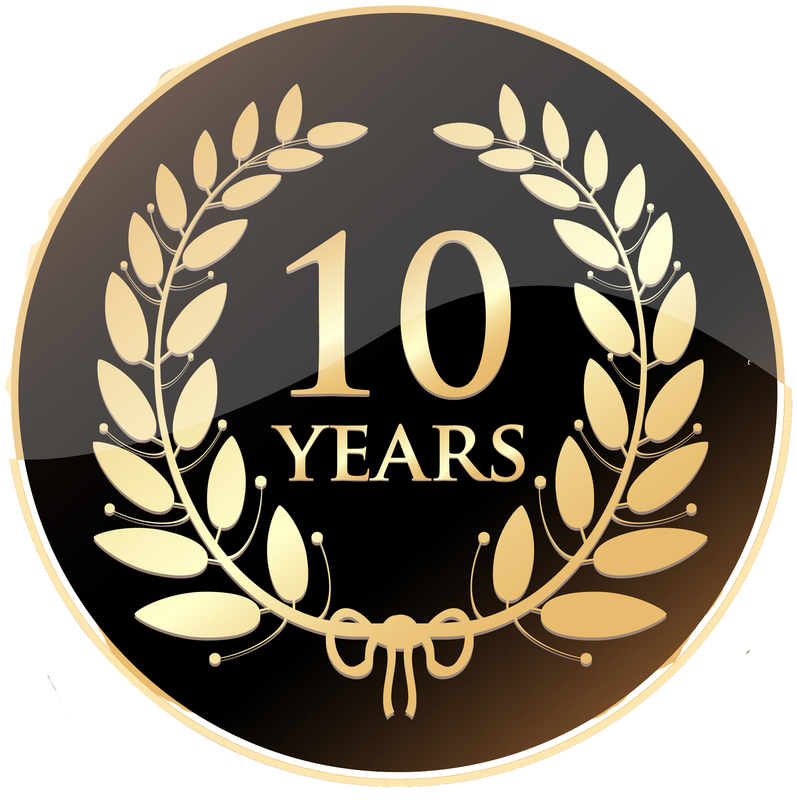 5th Anniversary for Sunbelt Appraisals! Mortgage Snags Ahead as Appraiser Ranks Dwindle! Highest and Best Use - Hair Salon or SFR? As HAMP goes up in smoke, U.S. needs new housing plan! I want to live in Awesometown! Appraisal Institute Withdraws as Sponsor of The Appraisal Foundation! Foreclosures up in 75 percent of top U.S. metro areas!! Fives of a kind!! Thats a great hand!! What's the Most Popular Countertop for Kitchens? Building codes are for wussies! UCF to offer a Master of Science in real estate program!